A yoga swing (aka trapeze or hammock) has a lot of benefits. Not only can you get deeper into your yoga poses but you can hold them longer. This allows you to increase your flexibility and your mobility. Plus, the longer you are able to practice yoga, the more you will see the mental and emotional benefits as well, such as improved clarity, the “happy mood” hormones that are released, and a more relaxed mood. It’s hard not to think relaxed when your body feels relaxed! We’ve reviewed the top rated Yoga swings, followed by our buying guide to help you decide on a swing that will work best for you. Our team tried out several yoga swings before deciding that these 5 were the best of the bunch. Take a look at the features of all of them before deciding which would be the best for you. Whether beginner or advanced in your yoga practice, any of these top 5 yoga swings would be a perfect addition to your yoga routine. This is the same Yoga Trapeze that is used in YOGABODY yoga studios all over the world. You are getting the exact same experience that you would in a studio but in the comfort of your home. You can set up the YOGABODY Yoga Trapeze with ease using their YouTube video. 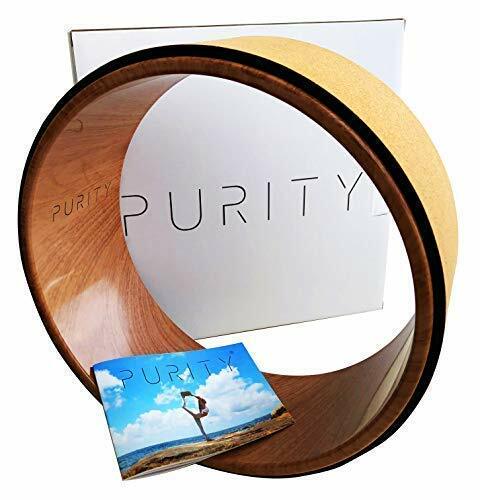 It shows you how to set it up from an exposed beam in your home, from a tree outdoors, or it comes with a door mount to set it up in a doorway. With the Yoga Trapeze you will be able to go deeper into back bends, plus hold them for longer. Doing this comfortably means you get more out of inversion therapy, relieving back pain and increasing mobility and flexibility. 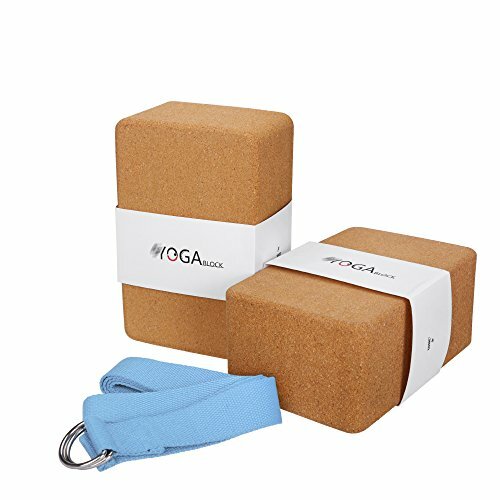 You also get free tutorials when you purchase the YOGABODY trapeze so you won’t be left in the dark without a clue how to use your new yoga tool. Your YOGABODY Yoga Swing comes backed with a 10-year warranty. If at any time during those 10 years you need parts replaced, or even the whole thing replaced, just call them up and you will get what you need. Video: See the YOGABODY swing in action. They stand by their product and what you to be just as happy having and using it as they are to provide you with it. 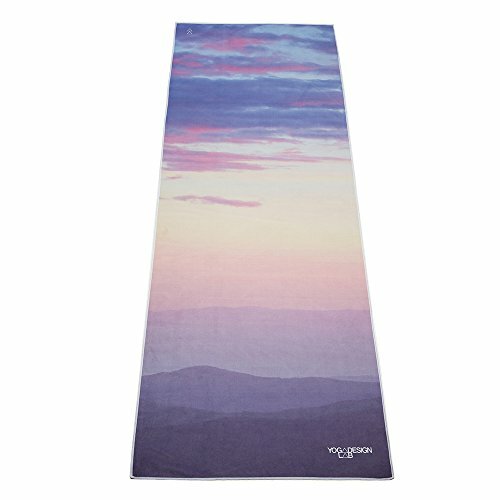 Our experience with the YOGABODY inversion tool was amazing. We were able to get deeper into yoga poses even when set up in a doorway, which may have kept us from moving quite as much. If you are looking for the best yoga trapeze, you have found it! Show off a bit of your personality with the bold color, and slightly shimmery quality, of this Aerial Yoga Swing. You won’t want to get out of it once you realize how comfortable it is to use and how many benefits there are to using a yoga hammock to extend your yoga practice even further. The padded handles with extra grip allow you to lift yourself or to move yourself between positions, even getting out of the aerial yoga hammock when necessary. The swing seat is triple stitched for durability and comfort. In addition to these safety features, this Ultra Strong Antigravity Yoga Hammock is suspended by daisy chains that are strong enough for climbers so you know you are going to stay put no matter what positions you find yourself in. 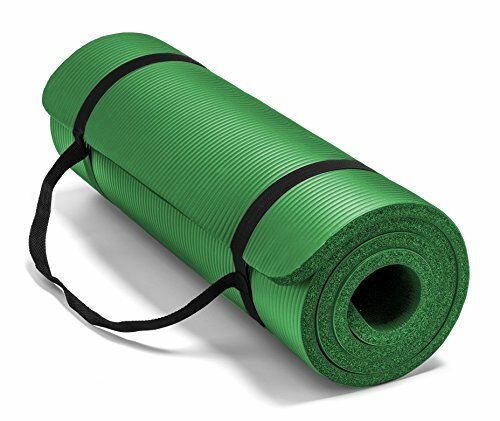 We found this yoga sling to be a great value and one of the best yoga hammocks, especially considering its bargain price. It comes with the yoga swing, two arms – one for each side – and each one has three hands so you can hold onto it at just the right height. The two daisy chains that allow you to adjust the hammock to the right height from the floor, four carabiners, and a black travel carrying case. The only thing not included is the actual mounting hardware. However, because the way you mount it can differ based on where in your home and how your home is set up, it makes sense to buy mounting hardware specific to your needs. 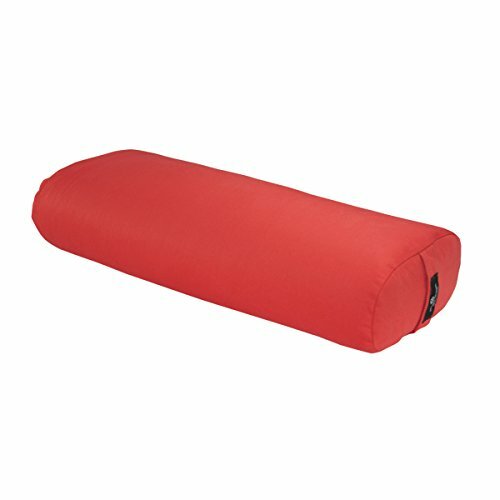 The Wing Yoga Swing is made from highly durable parachute fabric. 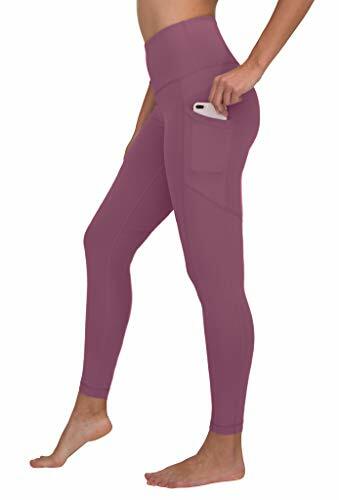 Even though this fabric is thick, durable, and can stand up to all your deep yoga poses, it’s not the thick, uncomfortable parachute fabric you might be thinking of. They have used only the softest they could find. You also have two very sturdy daisy chains that allow you to adjust the positions of the yoga swing as you wish. This yoga swing can be set up in your home, or even outdoors, in less than a minute. That makes it perfect for taking with you wherever you’d like to use it. Take it with you on vacation and use it in the hotel room or even camping and set it up under a sturdy tree. 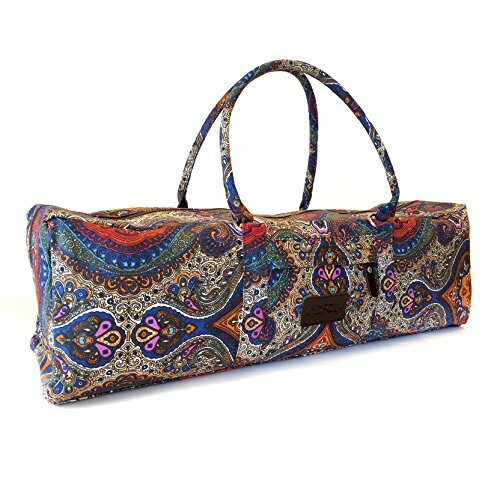 It weighs just under 3 pounds and comes with a free carrying bag to easily take it with you wherever you go. If you aren’t completely satisfied with this inversion swing, Wing has a 100% money back guarantee on their yoga swings. If you aren’t satisfied, just give them a call and let them know. When we used it, we were very happy with the results we had. It was easy to both set up and to use. Several of us tried it and none of us had any complaints at all. In fact, we had a lot of fun. We think you will enjoy this swing too, so it’s on our list of the best yoga swings. 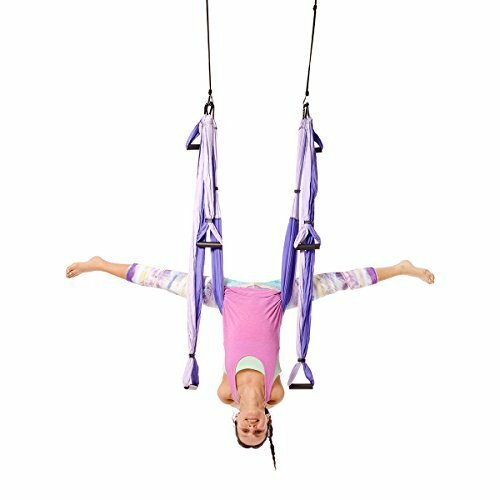 This Aerial Yoga Swing is meant to be used quite often and by those who many need an extra bit of durability, either because of weight or because of the poses you will be subjecting it to. It is classified as “gym strength” for a reason. Many gyms and studios offer yoga hammock classes, and this is the exact kind of yoga trapeze you would find in one. The daisy chain extension straps used to suspend this inversion yoga sling each offer over 5,000 pounds of load capacity. It’s safe to say that you could put this yoga swing through its paces and it’s not going to budge. The carabiners are extra-large and are strong enough for climbers. The swing itself is made from parachute material so it won’t stretch over time, becoming useless. However, they have used the softest material available. When you purchase this yoga swing, you will get an e-book guide on how best to use this swing emailed directly to you. This e-book is perfect for both beginners and those who are more advanced in their yoga practice. You will even get a carrying pouch to take all of this with you on the go. This company stands by their product and offers a 100% satisfaction guarantee. They promise that you will never have to replace this product even with daily use. We found that this sling was not only easy to use but we had several testers try it out and we saw no wear and tear on it at all. This would be a great buy if you wanted to invest in a sling and not have to by another one… ever. While most yoga swings are made of material that won’t stretch, or not very much at least, sometimes having one that does stretch is ideal depending on what you are trying to do with it. If you also want to try some pilates movements with your Aerial Swing, why not try an elastic yoga swing and see what a difference it can make in your workout. This Wellsem Yoga Swing comes with the swing itself, two daisy chains and two carabiners. All of this together has a max load capacity of 2,000 pounds. You won’t be seeing it budge no matter where you decide to mount this swing. While the mounting may not move, you will see some stretch in the swing itself and that’s what this swing is all about, and what sets it apart. It’s a two-way stretch so you won’t be stretching until you reach the floor but you will feel the swing wrap around you and hug you, so to speak. It can be a bit more comfortable if this is the feel you are going for. You will be given instructions and a video on how to properly set up your yoga hammock by Wellsem and set up is a breeze. We had no trouble getting this swing off the ground and getting into it for some gentle yoga and pilates poses. Now that you’ve seen review of our top 5 yoga swings, it’s time to go into some questions you should ask yourself before committing to the purchase of one of them. Considering these questions carefully will ensure you make the right purchase and that you will be happy with the yoga swing you choose. Are you looking for a yoga swing for the inversion benefits because you have back pain? Are you wanting to increase your flexibility? Do you want to be able to practice your yoga routines longer, or get into deeper poses? Whatever the real reasons behind looking for a yoga swing, you should make a list for yourself. Then, when looking at the features and benefits of each yoga swing that you consider, also look to see what those swings are best for. If they match up with your reasons, you’ve got a winner. Many swings are adjustable for height, but not all of them. If you need this feature, make sure the one you are looking at has this feature. Also, the actual “seat” of the yoga swing can differ in size. If you are a more petite person you may not be as comfortable in a swing meant for someone bigger. Most swings will list the recommended body size so you can make sure you would fit well when using it. You may also need to consider the weight limit of the yoga swings you look at if you think that a max load capacity should be higher on the one you ultimately choose. If you choose one that isn’t rated for your weight, you may do damage to the area where it is mounted, or worse, you may end up injuring yourself. If you don’t want your yoga trapeze set up for constant use, or you don’t have space for this, you need a swing that is easily taken down and put back up. If you will be taking it to the gym or even outdoors with you, you also need a set up that is portable. Make sure you look at portability factors and whether or not the swing you are looking at comes with a carrying case. You need to know that the company you are buying your swing from stands by their product. If they do, they won’t mind giving a guarantee or warranty to let you know this. Make sure you look at what they offer. Will they give you your money back if you aren’t satisfied? Will they replace parts or the whole product if it wears down or breaks in a certain length of time? Researching this before your purchase is important. Start Using Your New Yoga Swing Today! Once you’ve made your choice of which yoga hammock you like, it’s time to get it set up and start practicing yoga in a whole new way. Enjoy deeper stretches, inversion therapy for your neck and back pain, and even a relaxing swing just cocooned in your hammock. It may just be one the best purchases you’ve made in quite a while. I hope this guide was helpful for finding the best yoga swing to fit your needs. If you want to comment or recommend a trapeze I didn’t include, please use my contact form to get in touch. We found the YOGABODY Yoga Trapeze Swing to be the best combination of features, comfort and value of the Yoga swings.